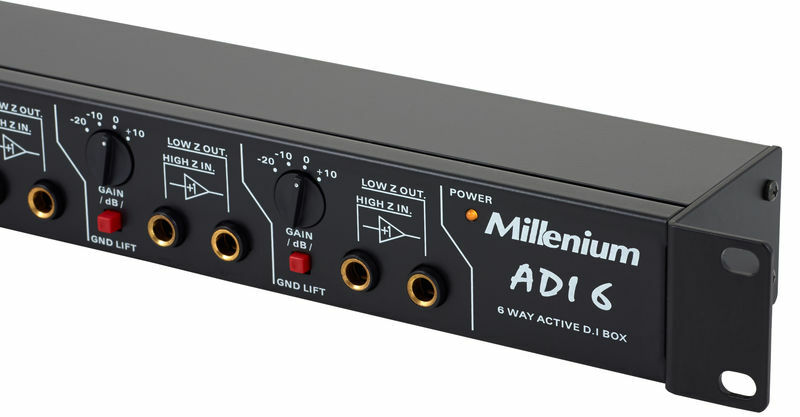 Millenium TD I6 - 6 way active DI box. 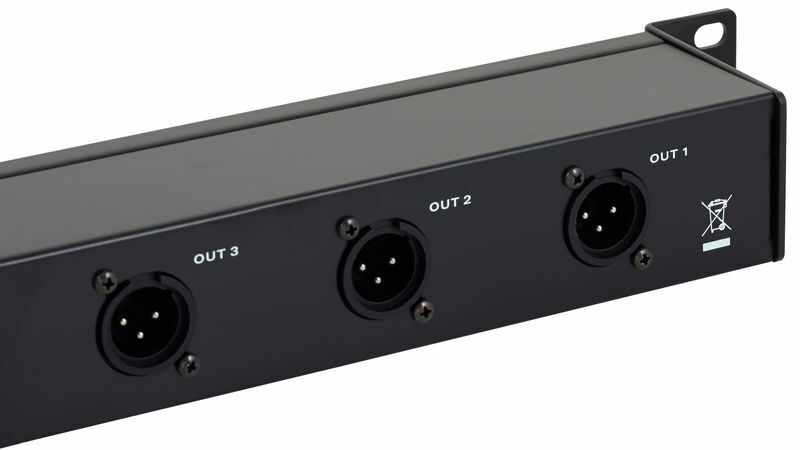 Front connections: jack in/out, ground lift and individual -20db/-10db/0db/+10db input switches. Rear connections: XLR out. Dimensions: 19" x 1U.